☯ Luna Moonis ☯: Extended Birthday Haul! 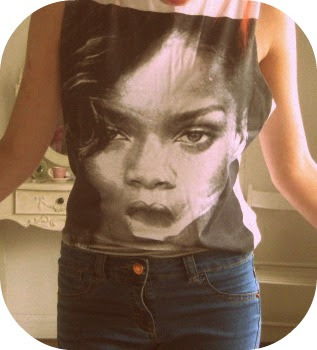 The first thing I got is this super cool top from Pop Art. 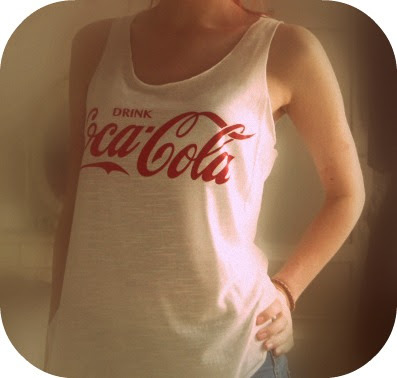 I love things which have a really retro feel to them, this top is my kind of style! It's really light and floaty too which means I can wear it on holiday without overheating. Ok, ok, I'm a tad inlove with Pop Art... this is the last thing I got from there though! 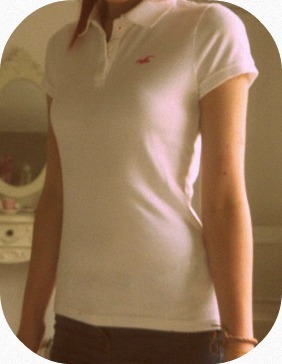 I also got this polo top from Hollister. It's SO comfy, and it's the kind of top I can wear all year round because it will fit nicely under jackets and still look nice. Who's amazed by these shorts? I AM!! These gorgeous things are from Topshop, and I can quite truthfully say they are my babies. Aren't these cool!? I got them from Jack Wills in a sale - mega bargain! When I picked them up they were reduced from £80 to £37, but when I got to the till they were £24! Made my day! These might not be the most summery shoes (not that it's remotely summery in England) but aren't they lovely? I have been looking for some of these for months, but they just seemed to have vanished from all shops! I got these from Select. Can you guess how much they were? £16! They weren't even on sale! These ballet flats from Primark are really cute. They make me feel like a rainbow ballerina (if they exist...) I love how the stripes are mismatched! If I remember rightly these were £8. I've developed a bit of an obsession for rings. The cute little heart was from Accesorize and the ADORABLE Moustache/Glasses ring was from Topshop. This ring is nne of the best things I've seen in a long time. What a lot of lovely things! :) I'm in love with those shorts. Great finds! Fab finds! I'm in love with a lot of your new clothes and e boots are amazing!!!! I love it too! And it's fine, I love your blog :) Thankyou! 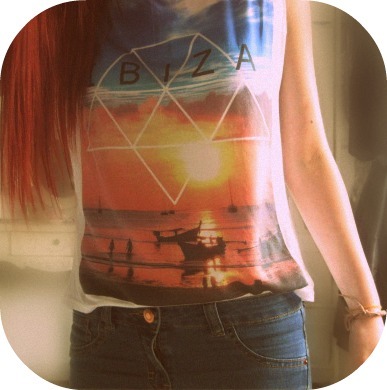 absolutely love the Ibiza t-shirt ! Love the flats, sunglasses, and shorts! wow I am in love with everything you got!